As I write, no one can tell how the current crisis will be resolved. No one can be sure. Fragmentation or consolidation of a nation? For the nation state, its communities of people and businesses, or from the perspective of the individual, the uncertainty about futures may seem beyond rational analysis – improbabilities lost in a sea of variables, multiple IF statements and continental confusion. When disasters occur – tsunamis, fires, floods, droughts, hurricanes, meltdowns, and wars – responses vary in scale, timing and attention. The seemingly ‘natural’ events prompt generosity – even when the ‘natural disaster’ is rooted in human negligence. Anything less than a natural crisis – like a financial meltdown or extreme inequalities – evokes a range of reactions from warm sympathy to frosty moral high-ground. What might unite folk in their turmoil is a desire to get back to some imagined normality but, as we know from countless examples, going back is impossible. Tomorrow is another, different, day. How then can a country in turmoil rise above the disaster? Firstly the good citizens should know they are not alone. They, you, your businesses, your universities, your communities, have friends in almost every quarter of the planet – friends, former neighbours, fellow sufferers and, way beyond the diaspora, millions of minds with fond memories and an appreciation of the county’s contributions to civilization. So the very first question is to ask how that wider extended-family can mobilise its support. Secondly, in this cocktail of catastrophe, you have not just been shaken. You should also have been stirred – stirred into action, driven by a survival instinct but also prepared to shed the past and not waste time in a downward spiral of finger-pointing fault finding. No amount of blame gaming can change realities; you are where you are. I wrote earlier, Greece is only Greece because most other places imagine they are not like Greece. There is no place quite like Greece and the rebuilding is not a matter of seeking bland conformance but celebrating your diversity and differentiation. Thirdly, the environment has shifted. The physical remains but the virtual ascends. What better time than now to redesign local and national economies to leverage a wider data-driven online world. Few places or communities have this opportunity – to hang up on ‘the way we do things’ and think afresh. Sure it will need investment. Sure, it will disrupt some staid businesses. Sure, it will be risky – but far less risky than not seizing the opportunities. Might Greece become the cradle of the Circular Economy? You may think this is just ‘wishful thinking’ but the evidence of other great recoveries demonstrates time and again that investing in renewed resilience will deliver dividends. Consider your talents – trading is in your blood, your diaspora is strong, profound thinking is endemic, artistry abounds, sciences are proven, solar power is plentiful – and the envy of a world that is less driven simply because ideas are born where they are needed most. No one can say with any certainty how things will pan out – what risks will arise. No doubt vultures are already hovering – looking for good pickings – but this is a time to pull together and not be picked apart. Leadership can emerge – not from some central ‘winner-take-all’ pseudo democracy but within communities across the country. Local economies need local management. Greece has many offshore islands but countless more inland – often shaped by geography – and the national economy that is endlessly debated is only the sum total of all your islands. The tide can turn – the brain drain of recent years can become a brain gain if young people are welcomed back. Brain Gain was published in 2014 by the Intelligent Community Forum and is packed with brilliant examples of local leadership and determined communities. The third inspiration arrives by an unlikely route – from a young sailor, Ellen MacArthur, and her solo round-the-world record-breaking voyage. It led directly to an understanding of a massive shift from linear to circular economics – a shift that provides entirely new rules for those who have glimpsed the poverty of political economics, the outdated labels of left and right and the debt-driven legacy of the linear economy. All three of these sources demand creative talent. Young people, students and returning graduates, will understand these ideas. Across the country local communities (enterprises and people) must realise their empowerment to recruit and encourage fresh thinkers. What do I know? 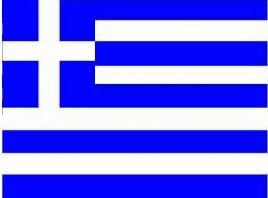 I am not Greek. Why take any notice of interfering foreigners? The world needs Greece to succeed and to lead. A new economics can be forged in the crucible of this crisis. For all the coverage of the Euro zone turmoil with Greece at its heart, David’s is one of the few comments I have seen that focuses on the price that Greeks are paying and the possible ways of avoiding terrible damage to their future.